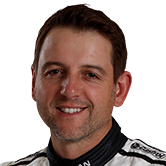 After an awfulcrash at the Tasmania Microsoft Office 365 just over a week ago, Scott Pye’sLucas Dumbrell Motorsport Holden Commodore will run on-track on Monday. Using one ofPye’s rookie days, the team will test the repaired Commodore ahead of the nextevent. The cars leave the following Sunday to make the trip across thecountry for the Chill Perth 360. 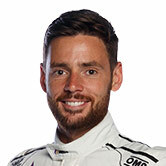 “Monday’s (test is) like anew car build because everything’s been off the car,” team owner Lucas Dumbrellexplained. Dumbrell said everythingwas coming together after the chassis was repaired last weekend. The car is setto go to the paint shop Friday and will be back Saturday, so the major work hasbeen completed. “Nissan Motorsport helped our fabricators with the front right rail (and) the bits we couldn’thandle in-house,” Dumbrell explained. Dumbrell recalledwhat went through his head when he saw the accident in Tasmania just over aweek ago. “It was quitelate in the weekend, 10 laps or so from the end of the race on Sunday so it was alittle frustrating and unexpected,” he said. 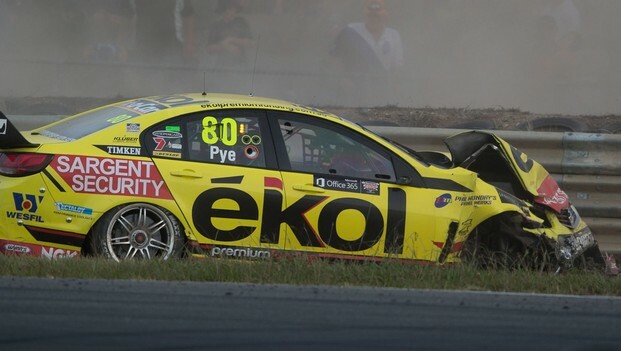 “It was obviouslya big hit so there was a bit of disbelief – we had to make sure it wasn’t the VIPcar (of Shane Van Gisbergen, which is also yellow). From there theteam replaced the front right suspension, rolled the car onto the truck andstripped it apart when it returned to Melbourne, while the Dodo crew was atAvalon airport with the other teams preparing the cars for the fly-awayPukekohe event. “The two carcrews worked independently, with the Dodo Crew busy preparing for New Zealand,”Dumbrell said. Nissan Motorsport isone of the few teams with a complete jig to build a car from scratch, and was in a positionto help the smaller team. “We’repitted right next to them (LDM) at the circuit,” team owner and driver ToddKelly said. “We were geared up and closest by to do it and one of the guys cameover and asked, so we went straight into the garage to look at the car and said toget it straight down to us and we could turn it around and help out. “It’s verycompetitive and you have blues with guys out there and a bit of ‘aggro’ betweendrivers and teams – but at the end of the day I like to look at it as onebig business. “We’re alla family and if there was a drama with another team, I’d like to think mostpeople would do the same thing. “In anindustry that has to front up week after week and deal with the same people,it’s important in situations like that, we’ll be there to lend a hand.